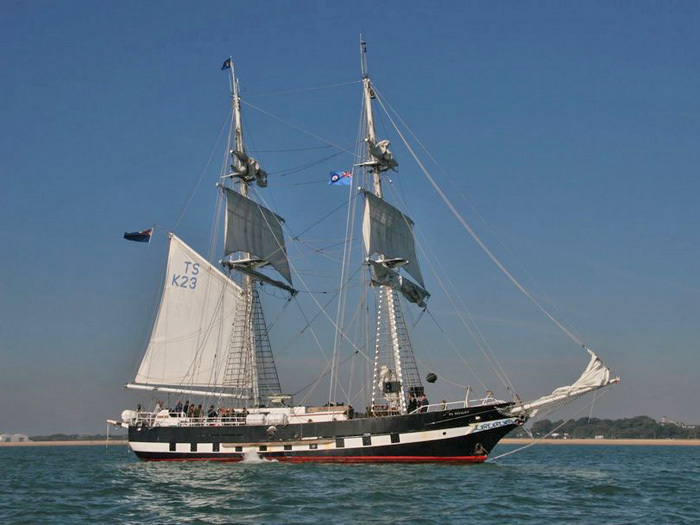 Sergeant Sarah Flower has just returned from a weeks adventure training course on the Training Ship 'ROYALIST', which sailed out of Portsmouth. 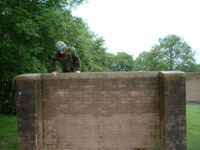 Sergeant Flower represented No 3 WW and was one of only twenty four Cadets in the Corps to attend. 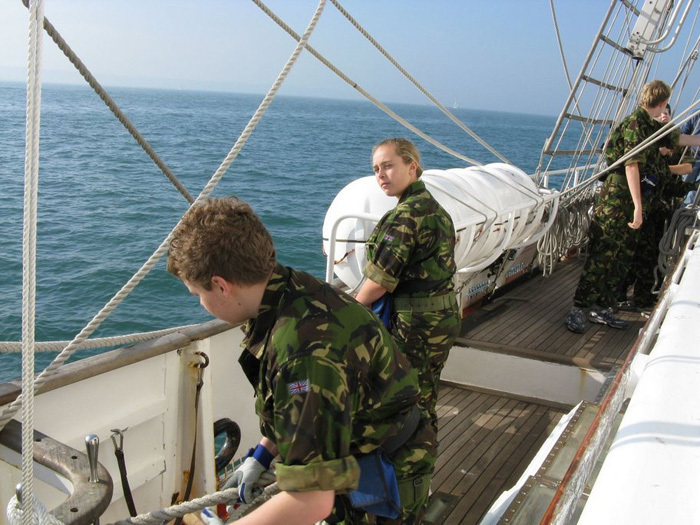 The aim of the course was to introduce Cadets to a life on board a sailing ship through tuition and experience, developing teamwork, leadership skills and sea awareness giving a level of competence and skill in all shipboard operations, round the clock watch details and domestic duties, cleaning and help with kitchen preparation. 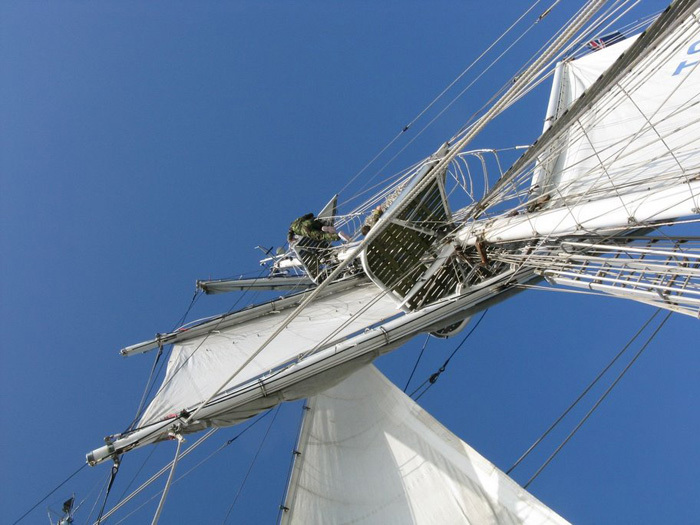 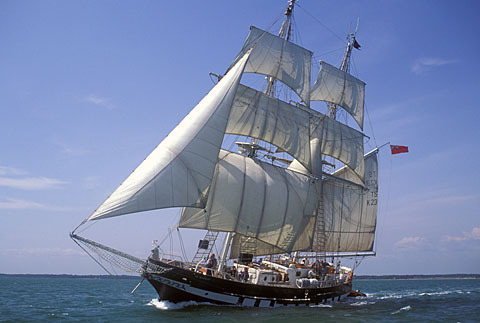 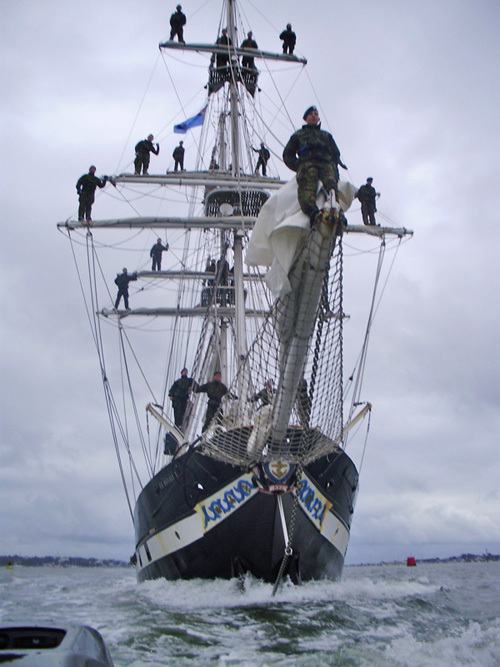 The Air Training Corps Team on the TS Royalist. 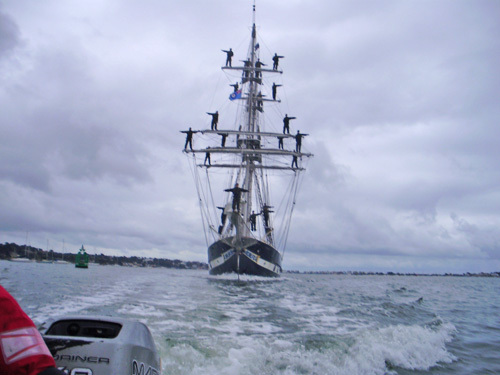 All the Cadets take up position on the rigging for a spectacular photograph. 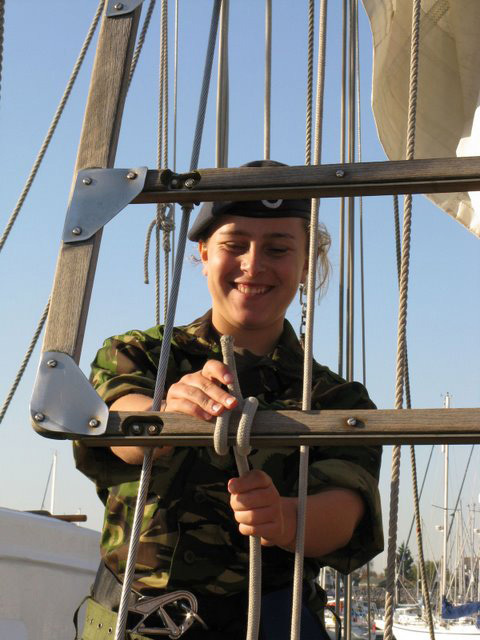 Sergeant Sarah Flower climbing the rigging to the top mast - every Cadet completed this task a number of times. 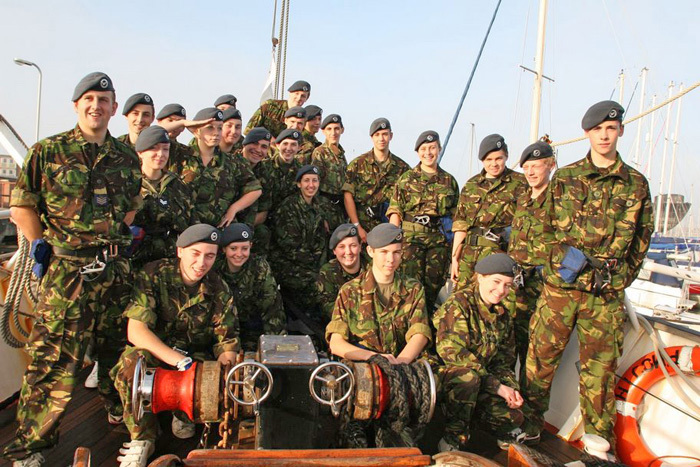 Ropework, team work and leadership skills were tested on the open sea in superb weather ! 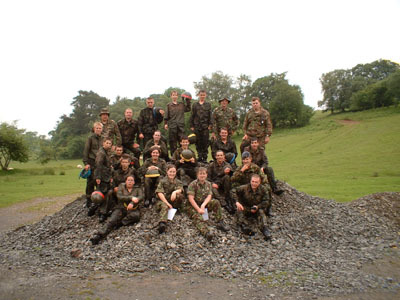 Sergeant Sarah Flower quoted," It was a fantastic experience and I would urge every Cadet to go and have a thoroughly great time and also meet and work with Cadets from all over the Corps. 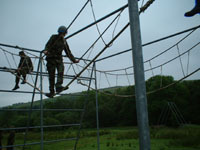 I am especially grateful to Wing Commander Wilson for recommending me for this great challenge. 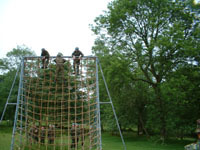 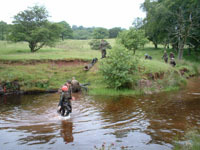 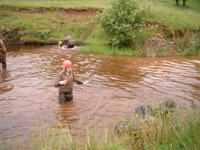 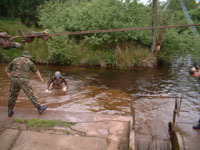 I also completed my Residential Section of my Gold DOE and was awarded my 'Offshore Hand Two Qualification and Badge"
The Cadets had a full day at Sennybridge Assault Course, which was extremely muddy and very demanding. 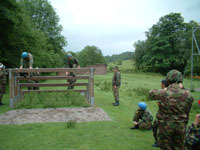 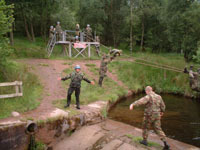 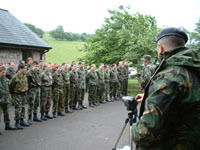 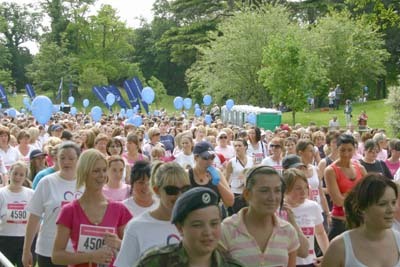 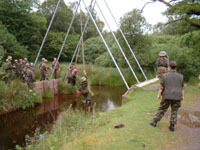 The Cadets however thoroughly enjoyed their experience and another visit is organized for October 2005. 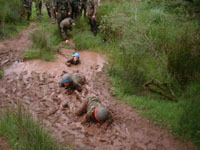 Soaking wet and covered in mud - unusual for 215 Cadets. 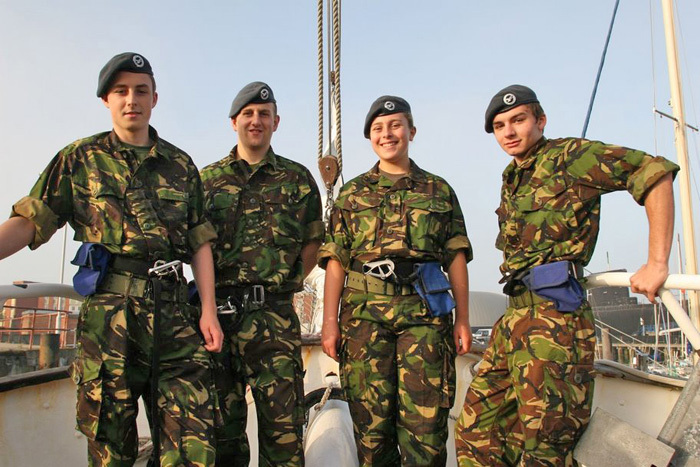 215 would like to thank Pilot Officer Heath Davies, OC 1358 DF, who offered this opportunity to the Cadets from Swansea Squadron.